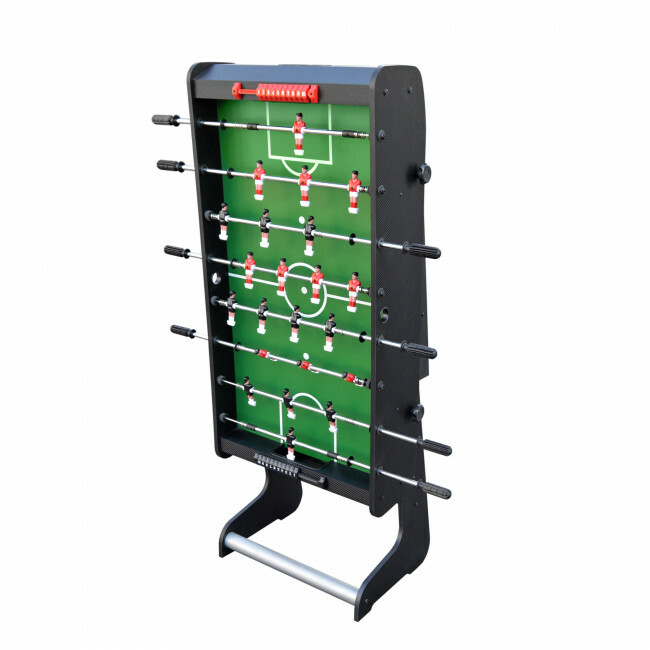 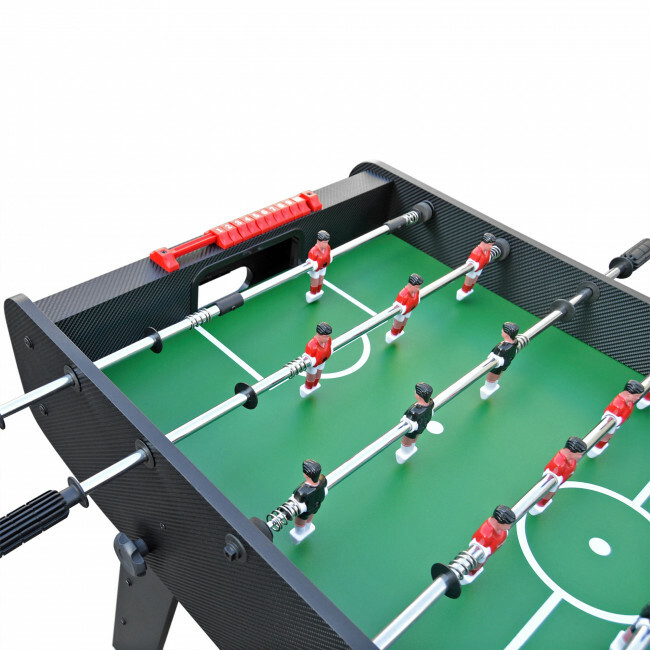 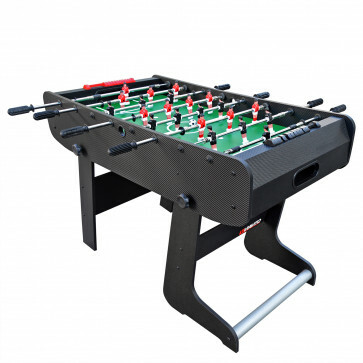 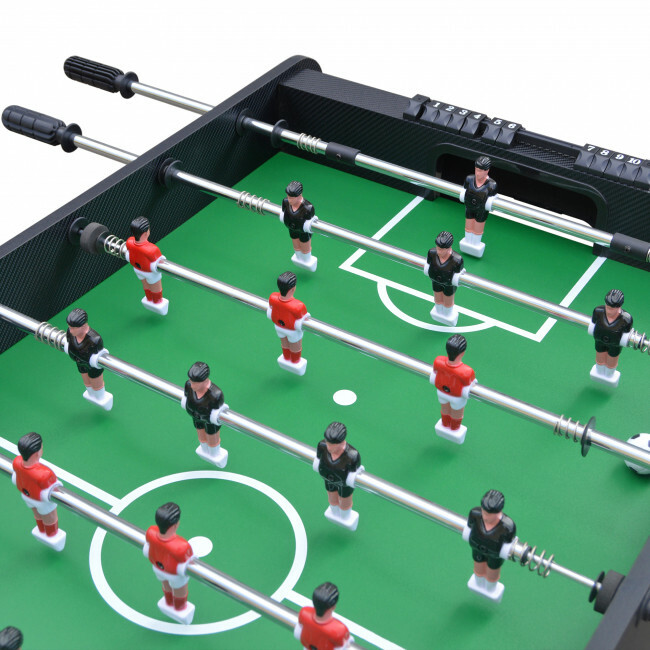 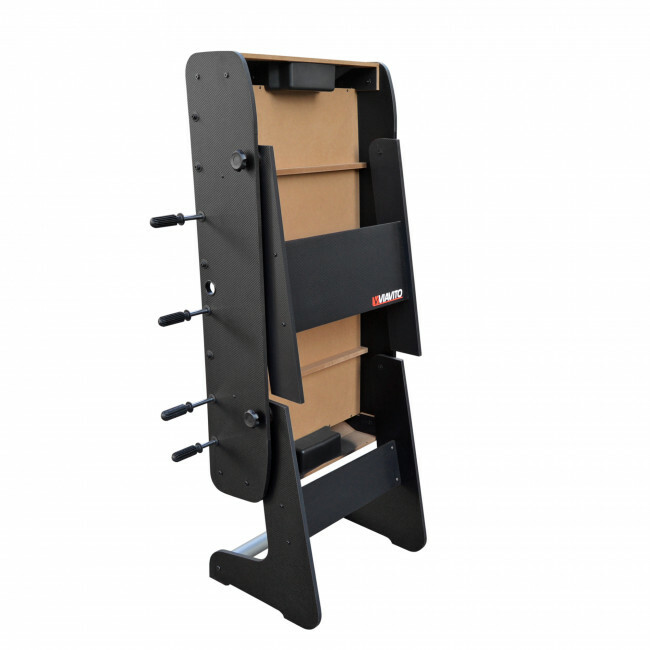 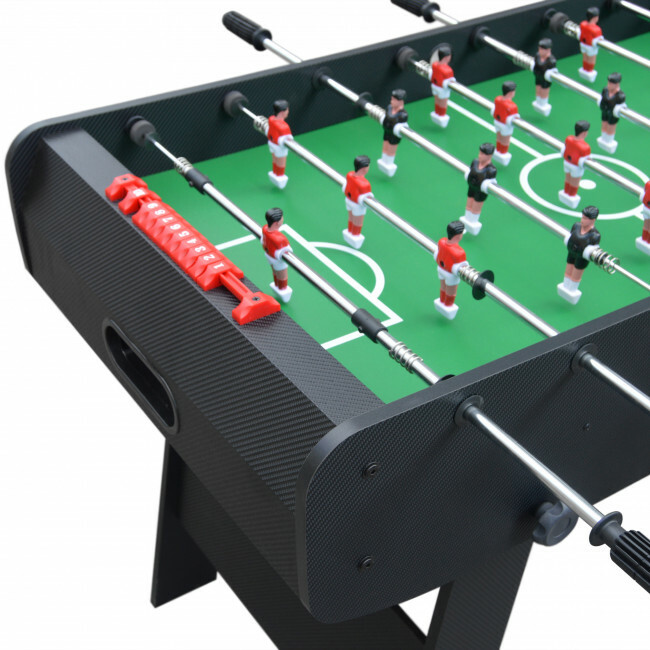 The FT100X 4ft folding football table brings a touch of excitement to homes and is made to endure intense play as well as provide hours of fun for adults and children alike. 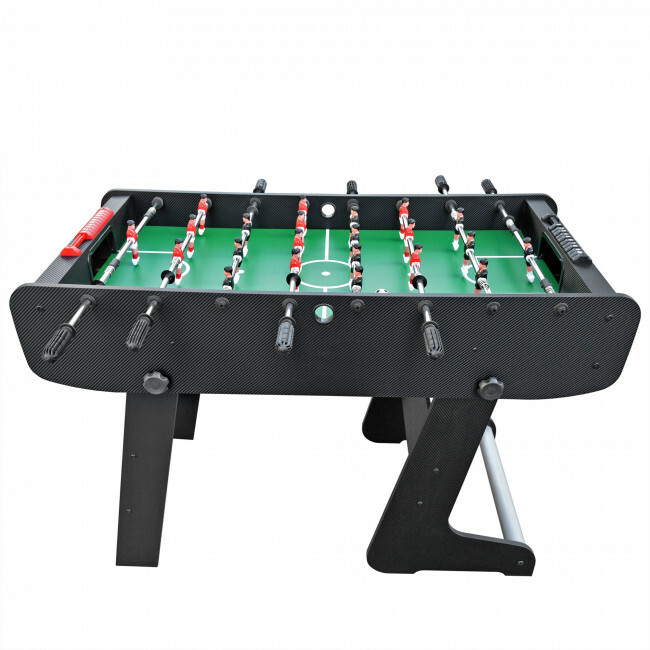 The table is very strong and sturdy so you can rely on it for enjoyable games of table football, and it also looks great thanks to its elegant and modern styling. 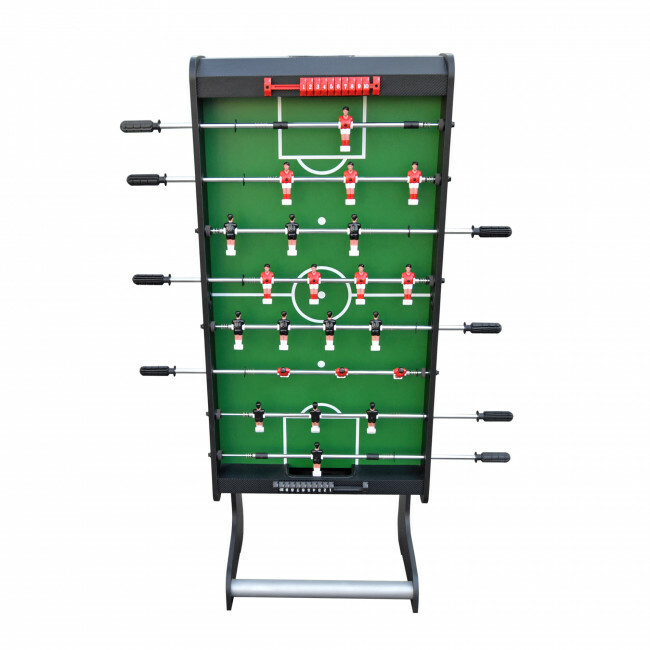 The players come in black and red teams and the telescopic rods are easy to grip and control accurately so you can play to your maximum. 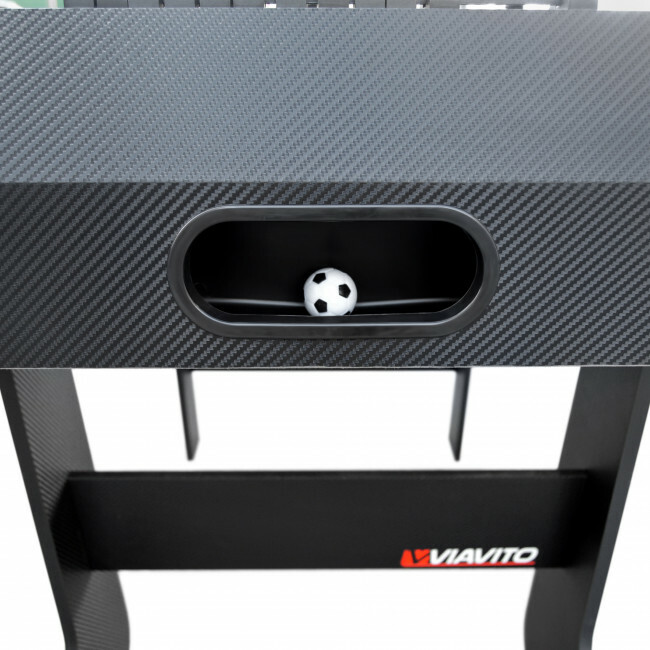 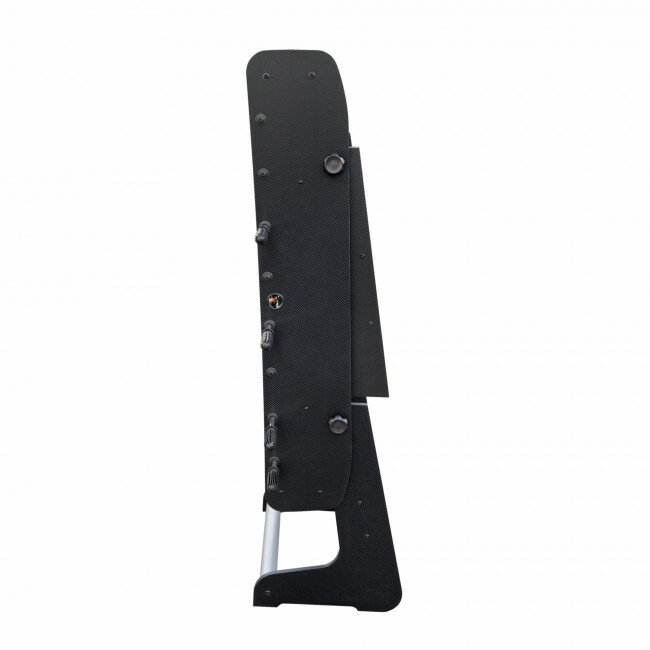 Thanks to the raised corners, the action won’t stop and you can keep the playing surface level using the leg levellers. 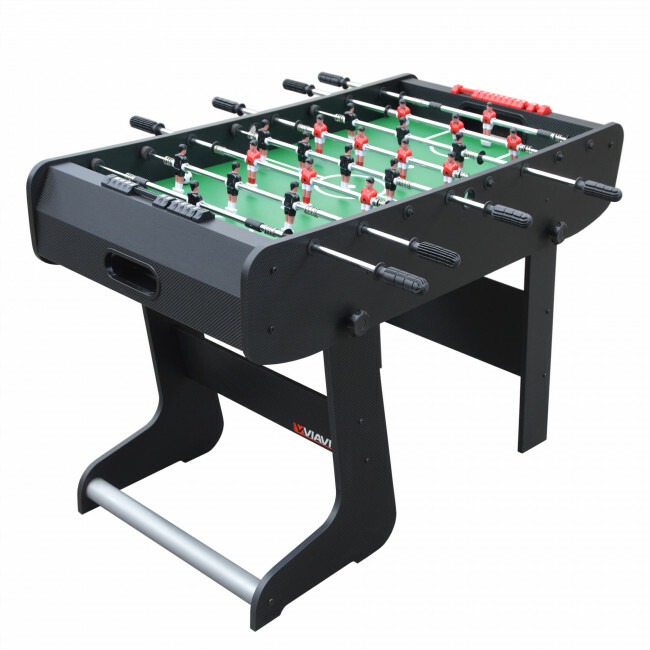 Space no longer be an issue as the table has a fantastic folding mechanism that makes storing it easier and more efficient. 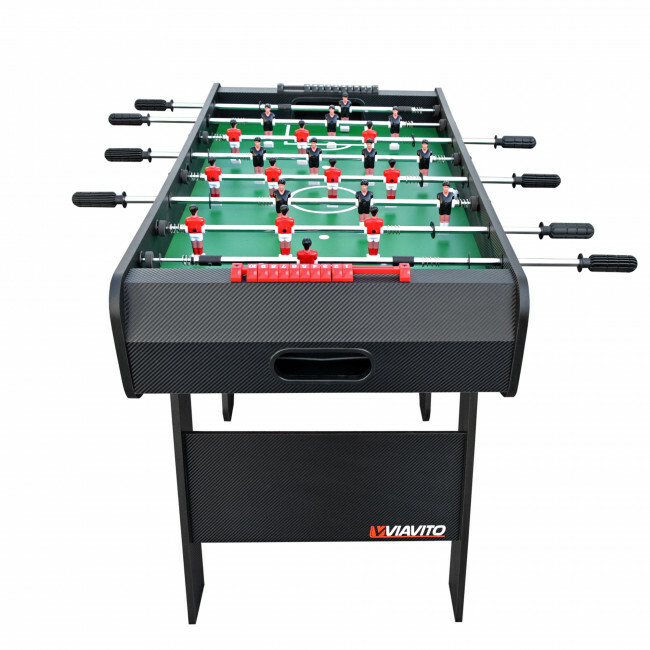 The table comes with 2 balls so you can start playing right away.